I am a Husband, Father and Cheese Maker living in Edmonton Alberta, Canada. I have been a an avid cheese eater for years, but as I explored my family history I discovered how much cheese played a part of it. My Maternal Grandfather was a Dairy Farmer in the Eastern Townships in Quebec, who from time to time made cheese. 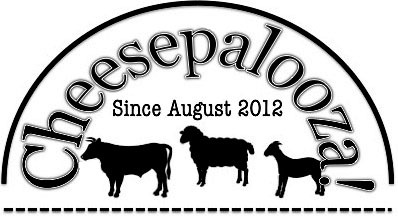 It wasn’t until I started to make cheese that I discovered that my Paternal Great-Grandmother use to have a small Sheep Flock, that she used the ewe’s milk to make cheese and sell in the local market in Austria where they are from. Thanks to my very understanding wife (who does not even like cheese) I have been able to make cheese at home, and trying not to destroy the kitchen or my marriage at the same time, and now I am Co-Owner and Head Cheese Maker of Winding Road Artisan Cheese in Smoky Lake County. nice wheel of cheese. I am impressed. So much to learn but experiementation is fun too! That is great, we visited our relatives in Austria a few times. They no longer have a farm and live in Linz. I am jealous that you have a goat. All that fresh milk. Lovely! It’s a sad person who doesn’t like cheese. Feel sorry for the poor sods. A beautiful and inspiring blog 🙂 onwards and upwards! Thank you for the kind words, I am still surprised that anyone reads it. I love cheese as you can tell. I don’t understand why anyone wouldn’t. Really interesting blog! I attempted to make my first cheddar this weekend and it has not gone well (mainly due to a houseguest putting it on a hot hob!) Still, it’s all a learning experience, I guess. Yours look fab. Thank you very much. I am constantly learning, that is the great thing about cheese making. Each time is something new.